At the front, this Audi SQ2 is immediately more aggressive looking than the standard car. The lower front air intakes are much larger and reminiscent of what we’ve seen from most Audi ‘S’ model cars. They also seem to be, at least mostly, functional. Which is good, as Audi has had a bad habit of making fake vents and intakes lately. It also seems to be riding a bit lower than the standard car, which is to be expected. Out back, we can see the clearest indicator of this car’s ‘S’ DNA, as it’s sporting quad exhausts, and Audi ‘S’ car staple. The quad poo-shoots look very good on the rear of the SQ2 and we’re so happy that Audi didn’t go the same route as the SQ5. That car sports what seems like four exhausts, except that they’re fake. Which is frustrating, especially on such a good car. We don’t know what sort of powertrain will power the SQ2 but we’re expecting the same 310 hp 2.0 liter turbocharged four-cylinder engine as the Audi S3. Whichever engine is used will almost certainly be paired with Audi’s seven-speed, dual-clutch S-Tronic gearbox and send power to all four wheels. Basically, expect it to be a taller Audi S3. We’re actually quite excited to see what becomes of the Audi SQ2, as it has the potential to be a very good car. 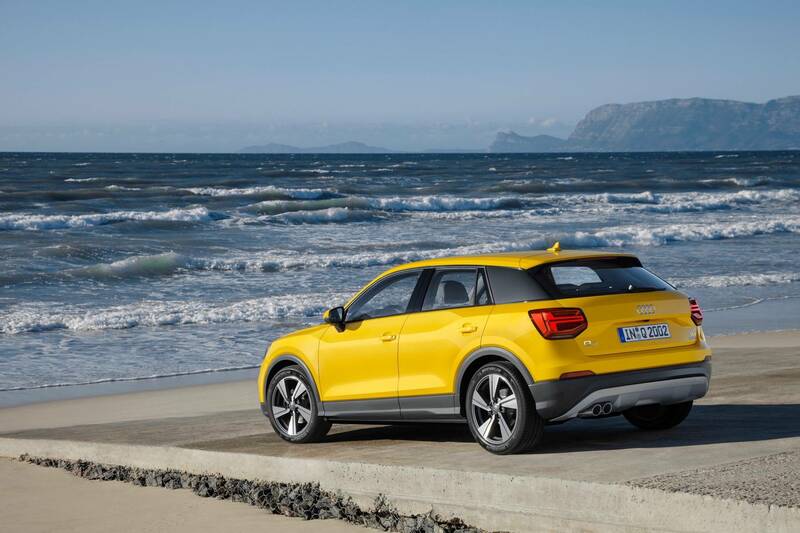 Its tiny wheelbase, pugnacious looks and performance potential could make the Audi SQ2 one of the brand’s most fun cars.